Thank you to everyone who followed along this month on my Monster Alphabet project: a new illustration based on a movie monster for every letter of the alphabet. I hope you had as much fun with it as I did! A few of you have been asking, will you be selling prints/posters? The answer is: I plan to! I need to make a few changes to some of the letters first. I’ll keep you posted, I hope to have it sorted out in time for the holidays. Keep in mind, I was pretty much producing all of the art as I went along, and a few things have piled up on my to-do list in the meantime. In the meantime, I have made a set of desktop wallpaper featuring the entire Monster Alphabet, available here in a plethora of sizes. This wallpaper is free for personal use, but please do not include it in any collections or download sites; if you want to share it, link to it here! 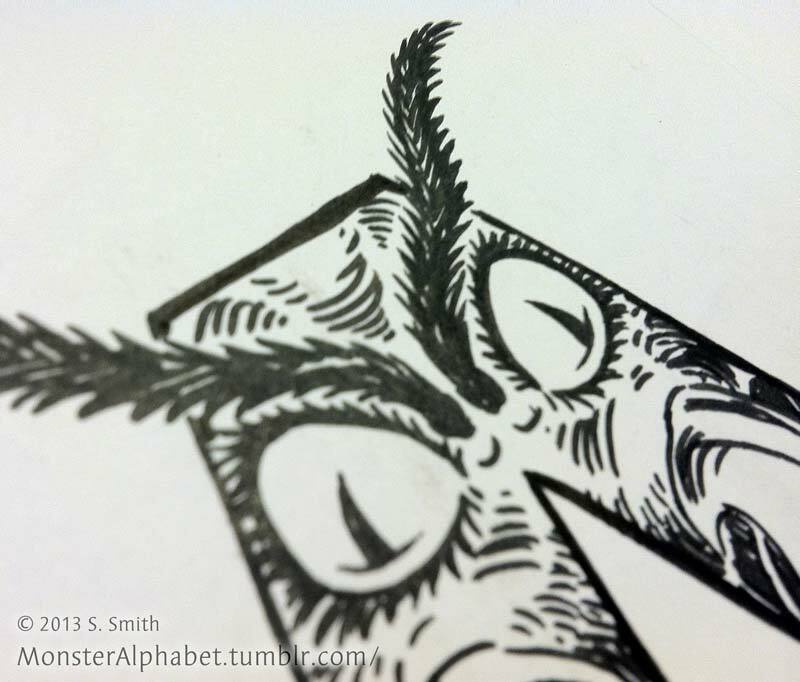 Starting this week… something spooky is afoot! Starting on Friday, we’re trying something a little different…. Updating EVERY DAY until Halloween, I’m celebrating the spooktacular season with brand new, hand-drawn letter of the alphabet featuring some of the all-time classic monsters from the silver screen. Every day, until we get from A all the way to Z, just in time for tricks-or-treats. The scariest part for me? All of these illustrations will be made during the month of October, and only a few are finished already. I don’t even know what to draw for some of the letters yet! We’ll be finding out together. I’ll be posting some sketches and works in progress here, but for the big action head on over to monsteralphabet.tumblr.com to check out the Month of Monsters.